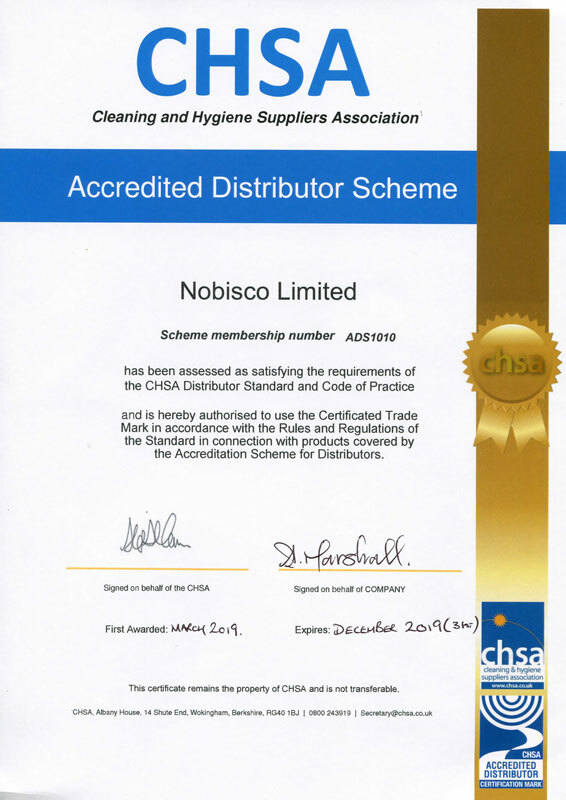 Nobisco Ltd holds a CHSA accreditation, meaningwe have been assessed as satisfying the requirements of the CHSA Distributor Standard and Code of Practice. The Accreditation Scheme cover soft tissue products, plastic refuse sacks and industrial cotton mops, that guarantees 'what's on the box is what's in the box'. A copy of out Accreditation certificate can be downloaded from the link below.